Glatz AG are a Swiss family company with a 120-year history spanning four generations – and one of the leading sunshade suppliers in Europe and throughout the world. 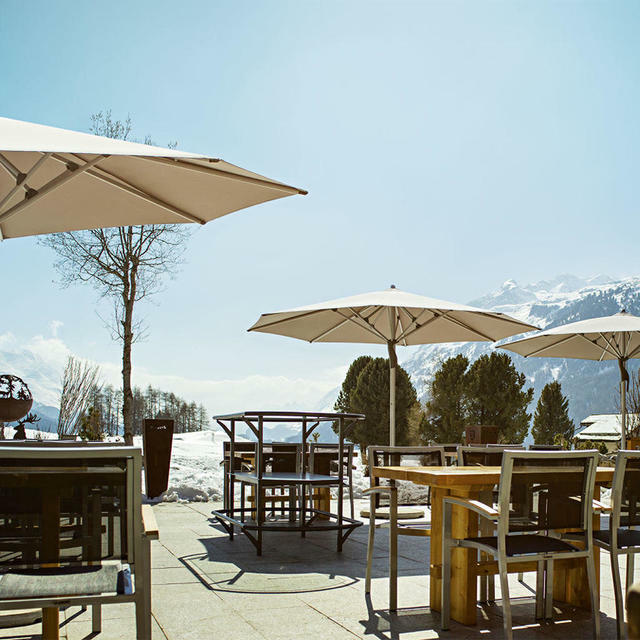 All of Glatz's design is focussed on the best possible shade solution, combining maximum functionality, sophisticated design, Swiss quality and technical know-how. We've worked with Glatz for many years supplying to commercial customers and their quality, design and engineering skills are exceptional. 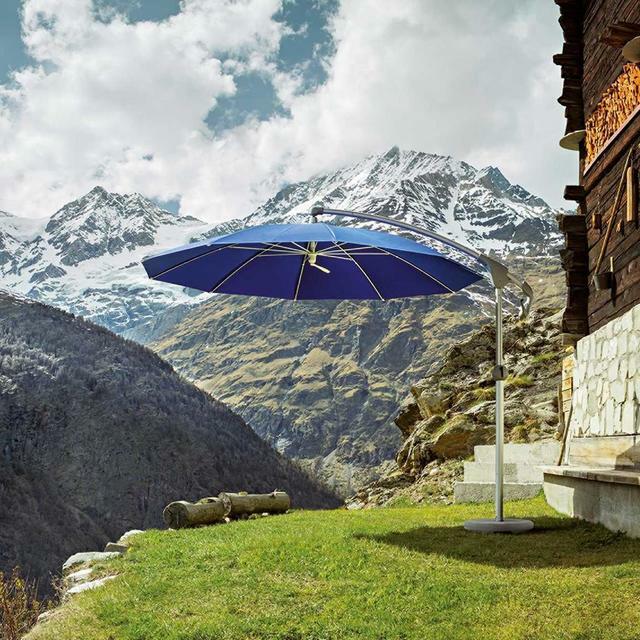 Glatz's parasols are all design with one principle in mind: form follows function. Glatz products have been developed to offer optimum sun protection and can be adapted to the changing position of the sun, which is dependent on the time of day and location. All of their parasols are light and easy to operate, while being robust and durable. They can withstand the most adverse wind and weather conditions. Glatz parasols are also UV protected in line with stringent standards and are made with lightfast and weatherproof materials. 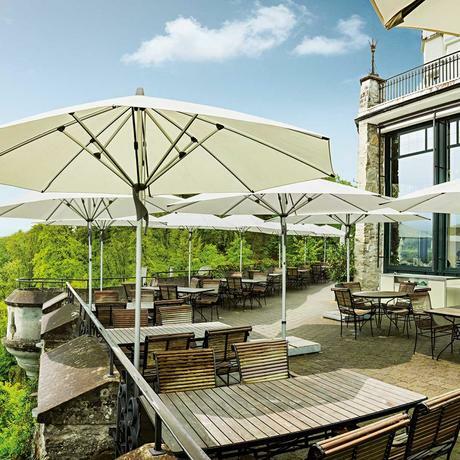 Glatz also offers a wide variety of fastenings from stand alone parasol bases to balcony clamps. Shape and aesthetics are of course also very important to Glatz. 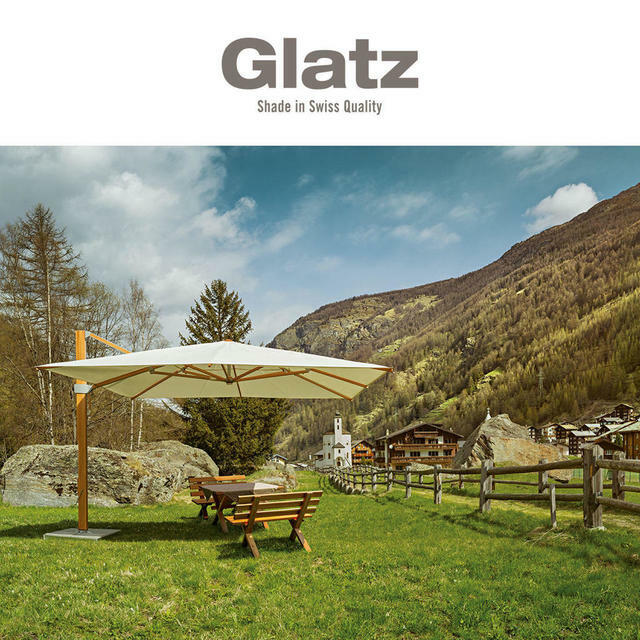 Glatz offers a range of parasol shapes and sizes in a total of 70 different colour ways. 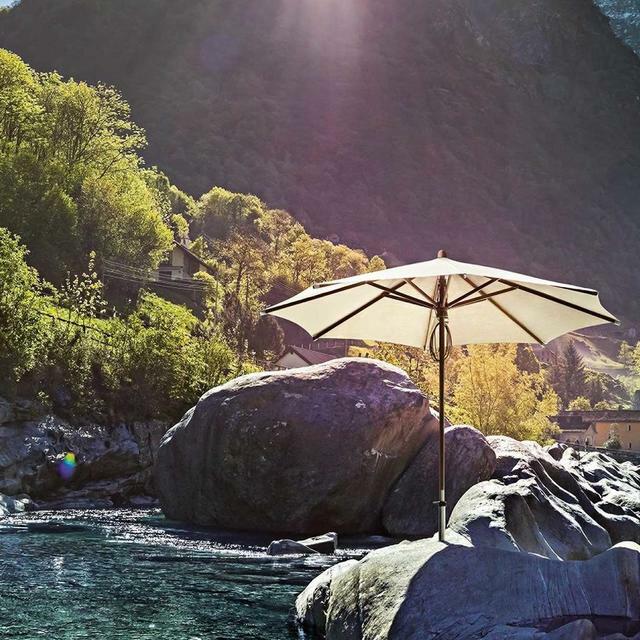 Glatz also recognises the importance of individuality and allows you to customise your parasol further through screen printing. We are please to offer this service as an option. Please get in touch with us on 0345 605 2505 if you are interested in this service. See the Glatz range here.